16 oz. 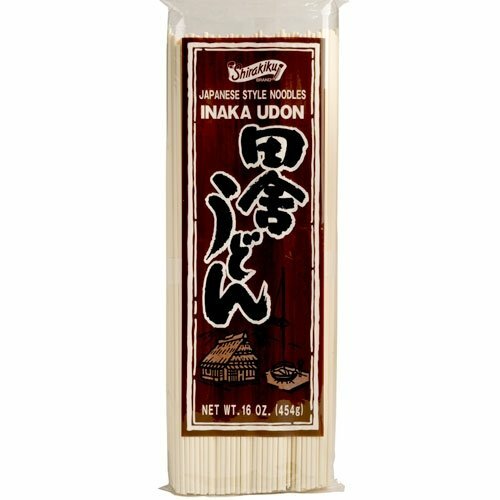 Udon noodles are a staple food in northern Japan, and a wonderfully versatile food to have on hand for adding new flavor to your everyday meals. These wheat-based noodles differ from their Italian cousins with their slightly denser texture and wheatier taste. Try udon noodles... With a sauce of mirin, dashi and nori flakes. In hot winter soups, where their rich flavor enhances the broth. Steamed, tossed with fragrant sesame oil and scallions, and chilled. Udon noodles are a staple food in northern Japan. Perfect for Soup! The more you buy the less it costs to ship (per item basis), when it all comes from ChefShop.com. Click the link to see all we have! If you have any questions about this product by Chefshop, contact us by completing and submitting the form below. If you are looking for a specif part number, please include it with your message.